Free Termite Inspections! Free Phone Consultation for all other pests! The most common types of spiders in Oklahoma are the Brown Recluse, Western Black Widow, Tarantula, Jumping Spider, Wolf Spider and Garden Spider. Of these common types, only two carry venom that can cause serious reactions. Protect your family with Farris-Ault Exterminators. With 48 years of experience, we provide the best possible solution to spider control. Even though ants may perform roles beneficial to humans such as eliminating pest populations and aeration of soil, they become a problem when they start invading our homes and businesses. While the small ones are a nuisance around the kitchen, the larger carpenter ants can cause considerable structural damage. This is why you need to call Farris-Ault. 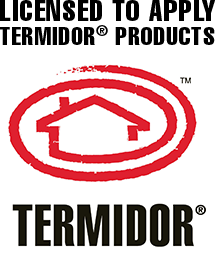 We use Termidor products around the exterior of your home to treat for these insects. Why do we use Termidor? It has an active ingredient that spreads to other ants through contact. 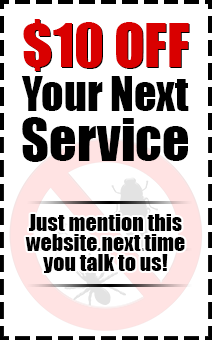 So call us today to eliminate your ant problems. When we think about fleas, we think about animals mostly because they are a flea's primary host. But just because you have pets, doesn't mean you will have fleas. Did you know that female fleas lay an estimated 50 eggs per day? Once these eggs are laid, it only takes a few weeks before the larvae have grown into adults. So it is safe to say, if you don't direct your attention to this matter soon, you will have an infestation. Most of your over-the-counter flea control products only eliminates adult fleas leaving behind the eggs, larvae and pupae. This is why it is important to call your local exterminator, Farris-Ault Exterminators. We will remove the fleas no matter what stage of life cycle they are in. We want to protect your family and pets. Ticks are a common nuisance all over the world. But the climate and habitat conditions of Oklahoma are very conducive to high tick populations. Ticks often carry a number of diseases, including Lyme disease, Q fever, Colorado tick fever, Rocky Mountain spotted fever, and several others. These parasites do little good for the environment and need to be controlled. At Farris-Ault, we know Ticks and the best ways to deal with them. Give us a call and we'll make your tick problem a thing of the past. Bed bugs are nocturnal and parasitic insects that feed exclusively on blood. They tend to gather and live in our beds because of their nocturnal habits - They don't have to go very far to feed on human blood while we sleep. While they aren't known to be able to infect humans with any diseases, bedbug infestations can cause skin rashes, psychological effects, and allergic symptoms. There are very particular ways of removing these pests, and we know them well. If you have a bed bug infestation, there's nobody better to call than Farris-Ault Exterminators. Everyone knows Cockroaches are a very common problem. These pests carry microbes that can be dangerous to humans. Cockroaches are also a common allergen. They are also known for being incredibly resilient. They can survive months without food or water, and they've been known to survive occasional freezing temperatures. It's hard to get rid of cockroaches once they've moved in to your home. Protect your family from these dangerous pests. Call Farris Ault Exterminators! Termites are a pest that can cost you a lot. They are wood-eating insects that can cause significant damage to exposed wood or other material containing cellulose (paper, cloth, carpet, etc). Termite infestations can do severe structural damage to your home or office if they are left untreated for too long. In the long run, treatment for termites costs a lot less than repairs for the damage they will cause. Do the smart thing and let Farris-Ault Exterminators keep your home safe. Another fairly common pest that causes property damage as opposed to health risks, Silverfish can cost you a lot of money in damages. Silverfish eat anything that contains polysaccharides, including book bindings, carpet, clothing, coffee, dandruff, glue, hair, some paints, paper, photos, plaster, and sugar. There are numerous household items that will attract silverfish. With their ability to live for a year without eating, these insects stick around even when times get tough for them. At Farris-Ault, we know exactly how to control Silverfish, and we're happy to help. Scorpions are a common pest in rural/remote areas. Their stings can be painful and dangerous, especially to people who are allergic. Swelling, numbness, and sometimes even convulsions are associated with their stings. We know how to keep Scorpions out of your home. Give us a call so we can start keeping your home safe from these pests. Mice, Rats, Moles, Crickets, Box Elder Bugs, Centipedes, Wasps, June Beetles, Mites, Pill Bugs, Hornets and more. Wood Destroying Inspection Reports and Re-Inspection Reports also available! Contact us now for your quote! Farris-Ault Exterminators, Inc is a local, family-owned business that began in Claremore, OK in 1967 as Jack Farris Exterminator. Years pass, chemicals and methods change along with the name change to Farris-Ault in the 1980's, but pests stay the same. Through the years, many of you will remember the business running out of various houses until it settled into the log cabin on Chambers where it is today. Even Signs and Colors change eventually. We try to treat all of our customers like family, day after day and year after year. 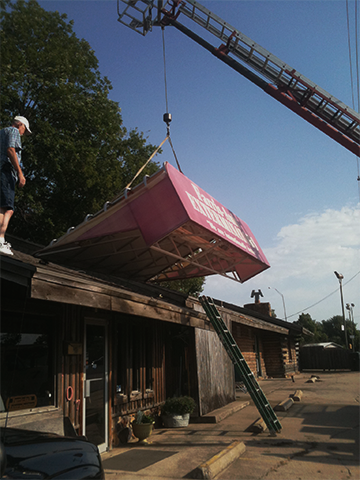 We look forward to servicing your needs along with the generations that follow you in the Claremore area. We have faith in our service and offer our customers service with no contract, so that if you are ever dissatisfied you can cancel at any time. Now that's family.